Oh good. So yet another Natsi who would dismiss the loss of 3.8% of our exports as being unimportant. You do know that in Scottish terms that would equate to the loss of £2.8Bn worth of business don't you? You stated it was absolutely massive. If 3.8% of an independent Scotland's exports is absolutely massive, then what does that make the other 96.2%. Keep up the good work selling an independent Scotland! I stated 3.8% of Scotlands exports is £2.8Bn. Losing that amount of business would be absolutely massive in an economy which is already desperately in need of it's subsidy from the UK, who btw are where Scotland sells 64% of it's total exports. If you think that is selling Independence you are thicker than I ever thought. 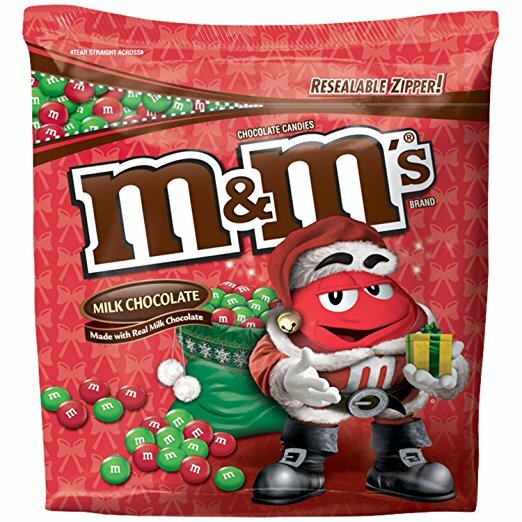 Do you, Cockles and Slarti combined have more brain cells than there are blue M&M's in this packet of Christmas M&M's. I seriously doubt it. Awwwwww, have we upset the sick person that's happy that there's babies dying here in Scotland. 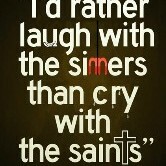 Cause if I have I feel F'in good about it. f**kin he'll, he's persisting with the belief that 3.8% is absolutely massive. Obviously the pizza analogy didn't work. Fatboy posts a picture of a bag of sweets, hoodathunkit? You know fine well you've confused him. You didn't say if it was 10", 12" or 16"
What size is the major one? It's Small, Medium or Usual I call them. Don't you mean Small, Medium or Appetiser Size? You bastards. I am starving now. Whatever the monetary value I would not want to lose any of it. Tell me Slarti - if your boss offers you a 3.8% wage cut in your annual review will you write it off as insignificant? I find out things every day that I had little or no idea about, it's part of my job and I'm very good at it. What you're referring to is anyone's guess, though. So basically everything you were slabbering about regarding the EU was garbage. Thats what I was referring to. Hows the split in the SNP going BTW? I heard it was serious. That makes absolutely no sense whatsoever in relation to what you were replying to. Not in any logical way, that is, but maybe it does in your head. I wouldn't know about the SNP as I'm not a member of the SNP, I've mentioned that lots of times on here. Why would you think I know anything about it? Did you hear it at one of Dicko's imaginary dinner parties? I wish losing 3.8% meant we lost £250bn. That would be cool. Not as cool as losing £260bn, though. Really Bud? An alternative to right wing government? Have you had a look round European politics? In Germany Merkel, more right wing than Cameron, is practically untouchable. In France the Socialist government is unlikely to survive the next election and there's a real possibility of Le Pens National Front - more right wing than the BNP - taking office. In Austria and Poland far right politics is on the rise. In Sweden the far right hold the balance of power currently and in Denmark their right wing government is heavily influenced by a popular far right party. And in Greece the most violent right wing party in Europe, Golden Dawn, with a leader who says he admires Hitler, is the third most popular party with a growing membership and increase popularity. Now I voted Remain and stated, as did you, that I didn't care about the outcome but if your motive is avoiding right wing politics the EU is the last place you should be looking. Nope - busted flush in the Presidential Election yesterday (like I predicted) and they'll do no better in the Parliamentary one next month. As for your prediction that the "populist right" were going to bring down Europe from within this year - Austria: failed, Netherlands: failed and humiliated Germany: the AfD are struggling to even make it to the election without completely imploding. Meanwhile Theresa May looks more & more like Poll Tax Era Thatcher with her pandering to UKIP voters. Merkel more right wing than Cameron - Merkel is a Christian Democrat who are generally considered centre-right as opposed to Cameron who is Conservative and just plain old right wing. The French NF might be the largest single party in the first round like 2014/15 but in the second round when it's a run-off between the top two they'll lose as they always do. The current Swedish coalition government is centre left/green, there are no parties in the Swedish parliament that would be considered far right like UKIP or the French NF. As I've stated above I'm under no illusion that the EU and it's parliament is perfect but it's a better option than Westminster and the Tories who in the last election moved to the right to attract UKIP voters and contain the deeply unpalatable Britannia Unchained faction who already have a member, Priti Patel, at Cabinet level (unlike the far right in Denmark). The UK Conservative Party is currently the most right wing party in government within the EU and it looks to be heading even further from the centre in reaction to Thursday's result ahead of it's departure. I'm happy with NS's current strategy. One of us was right.